We’ve all been there. Begging and pleading with your toddler to eat his veggies, only to be met with protests and crying. It can be very trying to deal with a picky eater, especially when we just don’t understand why they won’t eat. This guide will give you a tried-and-true solution to getting kids to eat their vegetables. Even the pickiest of eaters can be convinced to change their ways; it just takes a little persistence and know-how. Today I’m going to show you the tried and true method of getting kids to eat more vegetables. I call it the Little Leader Method! What’s The Little Leader Method? 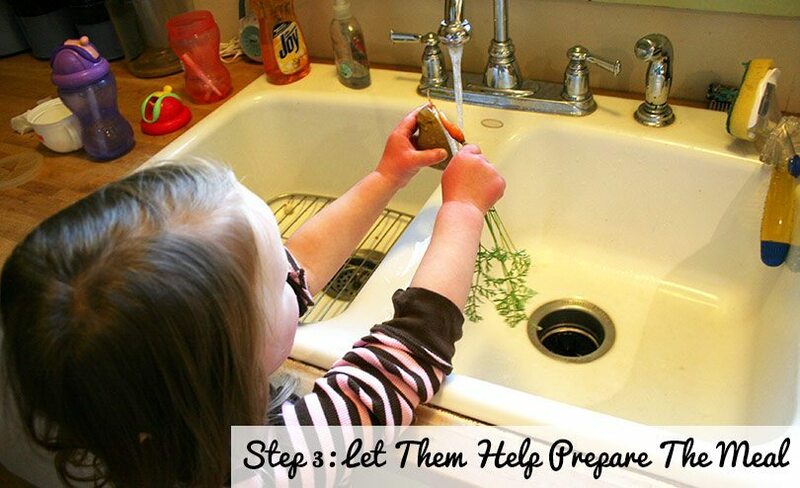 Basically, the Little Leader Method is all about giving the child a role in creating the meal from start to finish, letting them make the important calls along the way. The fact that they had some say in it, and helped with the preparation of the food makes them much more excited and inclined to try it for themselves. Kids marvel at the end result, knowing they were important along the way, and it works wonders in getting even the pickiest of eaters to try new things. 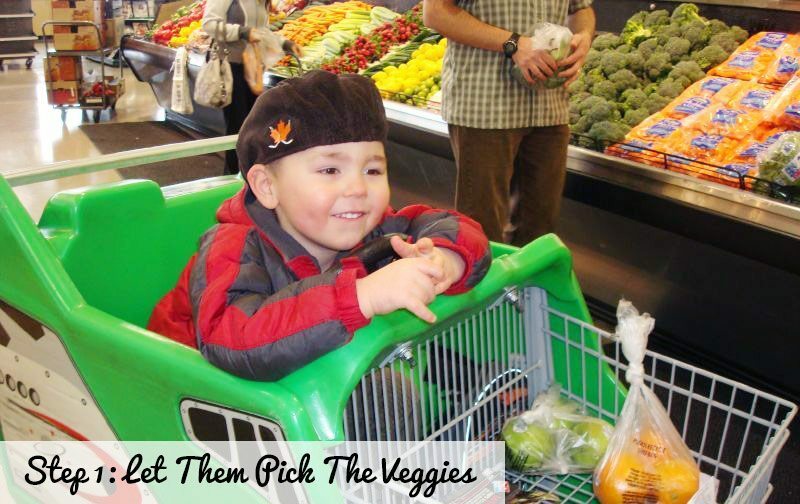 Starting from the grocery store, let them take the lead in choosing which vegetables you buy. You can guide them slightly in the process of choosing the foods, but let them take as much of the lead as they want. For the younger child, you can ask them questions like: “Do you want squash or zucchini?” and let them choose between the two. Being involved in the choice is the first and important step. As they get older, you can make the questions more open ended, and you can let them choose the vegetables themselves; the important part is that they’re making their own choices. 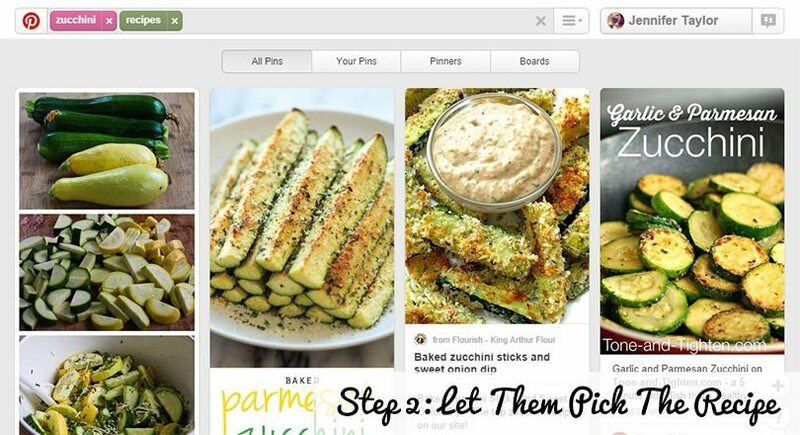 Next, go to Pinterest and search for your recipes using the veggies of choice. Pinterest is absolutely full of amazing-looking food pictures and you can find recipes for anything under the sun with a simple search. Showing your child that the end result is going to look really nice will create appeal. Find a handful of recipes you have the ingredients to prepare, and let them choose one from the bunch you selected. Finally, the last step. Give them as much responsibility in the preparation of the meal as is safe. If they’re old enough, have them scoop out a squash or even add seasoning to the veggies. Older kids can handle more-involved jobs like peeling or even slicing (if done safely.) Even if it only involves washing the veggies, giving them a job makes them not only feel important, but they’ll love being involved in the end result and be more than likely excited to eat it. Of course, the level of involvement you can get when using the Little Leader Method is going to differ depending on how old your child is. Older kids can have more say and choice in the selection of the veggies and more involvement in the preparation, but even the 15 month old toddler will have some comprehension of the process of buying vegetables to taking them home and preparing them, given you explain the steps along the way. After you repeat this process a few times, they’ll more strongly associate the process of choosing and buying the vegetables to the outcome of the prepared food. Now that you know the Little Leader Method, we’ll go over some general advice and pointers for dealing with picky eaters. Here are 9 tips to help get your child to eat more healthy foods. 1. Be a Good Role Model. You’d be amazed at how influential you are on your kids, even when you don’t mean to be, and plenty of research has shown this If you’re feeding them different things than what you eat, it’s going to be much harder to get them to like them. If you’re eating a lot of healthy foods yourself, it will greatly influence your kids to do the same. If fruits and veggies are an afterthought in your home, you can’t expect your kids to jump for joy for them either. 2. Make it Fun. There’s nothing kids like more than games and make-believe, and turning eating time into a mini game can work wonders for some kids. Instead of pieces of brocolli, maybe he’s a dinosaur who has to eat 5 trees to outrun the monster chasing him. It’s amazing how this can make them much more eager to gobble down the greens. 3. Use the One Bite Rule. The more a child is exposed to a food, the more likely they are to accept it. Enforce the “one bite rule”; the child must take at least one bite of food each time it’s served. Never accept absolute refusal. Over time, they’ll likely grow to accept it more. 4. Reward Good Behavior. While you should never bribe your kid to eat, rewarding them when they actually do it gives positive reinforcement. Don’t tell them they’ll get the treat beforehand, but have one in mind for if they get brave and eat what you wanted them to. 5. Try, Try & Try Again. If your kids don’t like the vegetables, don’t give up. Over time, their palate will adapt to the disliked tastes and textures, and persistence is key. It’s important to keep at it, because picky eating habits can often remain well into adulthood, and it’s for the best to try to tackle the problems as early as possible. The longer they go being picky eaters, the worse it’s going to get. 6. Offer Diverse Colors & Keep Them Separate. 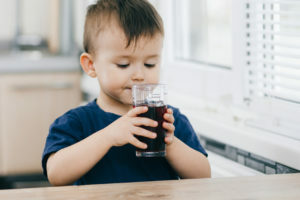 While adults generally prefer to have their food closer together, kids prefer to have it farther apart, especially when it’s shaped into a design. Try placing it around the outside of the plate, or in a fun shape (like a smiley face). Also, try having a variety of color, which makes it much more appealing than, for example, a casserole. It’s also easier for them to get used to the taste of single vegetables at a time as opposed to a mixture. 7. Understand Their Values. You can tell your child that “this food is healthy” and “this one isn’t” until you’re blue in the face, but it’s not going to have much meaning to them. Try to understand what’s important to your child; for example, they often want to grow bigger and stronger, so telling them that their carrots are going to help them do that will create an appeal. 8. Ditch The Junk. Giving your kids junk food like chips, chicken nuggets and other processed food is very counter-productive and a sure-fire way to create a picky eater. Once they get a taste for that kind of stuff, it’s hard to get them to take to vegetables and fruit. 9. Starting Early Makes it All Easier. Starting early is crucial in getting kids to eat healthy in the long term. It’s much easier to get them used to the taste and texture of vegetables early on as soon as they start eating solids as opposed to later on. That’s not to say that it’s going to be impossible to get your toddler to eat vegetables; it’s just going to be harder. With luck and enough effort, you’ll have them eating like this, too. 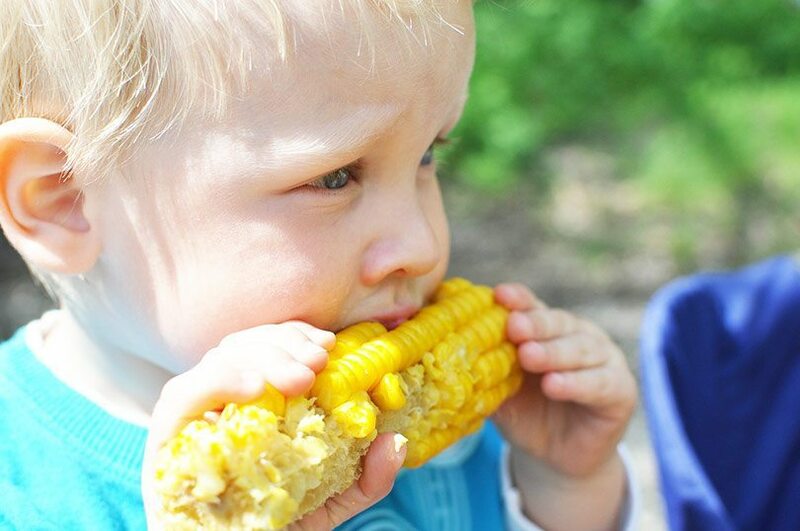 Of course, there are a lot of things you can do wrong when dealing with a picky eater. You might be inclined to bribe or force the child to finish their meal, but doing so couldn’t be more counter-productive. Here are 6 things you should avoid. 1. Don’t bother with trying to hide or trick your child into eating vegetables. You might think you’re being super sneaky and smart, but it’s really not a solution at all. The key to getting them to like veggies in the long term is to make them realize that they can be yummy and not at all scary or gross. This is all about winning the war, not the battle, and you might succeed in getting them to drink a smoothie or disguised vegetable, but that’s not doing anything to help their overall picky-eating habits. 2. Don’t bribe them. Again, this is about winning the war, not the battle. You might get them to eat something in the short term by bribing them with video games or not being able to go play until they finish their food, but all this serves to do is give a negative association to the food they dislike. 3. Don’t reinforce their habits by giving them a label. Never refer to them as a “picky eater” or say things like “she’s so picky, she won’t even touch her broccoli!” anywhere within earshot of your child. This only reinforces their supposed dislike of the food, and gives them an excuse for their picky eating habits. 4. Don’t give into the whining about food and don’t give in. Put whatever you prepare on the plate, and that’s what they get to eat, no matter how much they protest. As much as your child might want it to be, your home isn’t a short-order restaurant and you should never make them special food to accommodate their picky-eating habits. 5. Don’t let them eat outside of meal times. A hungry child is much more open to eating things they normally don’t enjoy, because if they know they can just not eat dinner and get a snack in a few hours, it’s not exactly doing much to convince them to eat the eggplant they detest so much. 6. Don’t force them to finish. You might think that forcing them to sit there until they finish every last piece of food is a good idea, but it’s really just creating a negative meal experience and making them associate the food with bad feelings. This has the completely opposite effect of what you want, and might actually make the picky-eating habits worse. Did You Try the Little Leader Method? I encourage you to try the Little Leader Method and report back with how it worked for you! I’d love to hear if it helped get your picky little eater to eat their veggies. I had great success with it, so I hope you do too! Let me know in the comments below if you tried it out, or if you have any questions. These are wonderful tips. I’ve been very fortunate with my girls. Both of them are such good eaters and they love their veggies. I think in part it has to do with the fact that my oldest has an anaphylaxis dairy allergy. We rarely bought processed foods so everything was fresh fruits, veggies, and meats. I like your tip involving children in different aspects of the process (selecting recipes, choosing the veggies, cooking). That’s awesome. Pinning this to my Deliberate PARENTING board. I seriously envy you. But yes, I think skipping processed foods and going straight for fruits and veggies is an excellent idea. You might as well get them off on the right foot instead of going for fish sticks and other goopy stuff. I’m really hoping my little one won’t take until age six to start opening up to more foods. I would say he has a healthy diet – low in processed foods, salt and sugar, but also a limited one. I wonder if you would have had the same success if you had started earlier with your child or if the picky eater stage is years long? I feel that I’ve been pretty in line with this advice since starting solids and at almost age three he seems to have dropped more foods than he has added on his “will eat” list in the past year. Have you heard from other moms of younger children who have had success turning the picky eater into a little leader (in the guest post I read you said you had success at age six)? Hi, we have a 4yr old boy, he loves processed, carbs, I need ideas for getting.him to eat fresh fruit , verges, and cooked meat. It is so hard to introduce all the good food. I have noticed he pushes away the food that has.colour.